This picture was snapped earlier today of a large excavator digger working on the side of a giant mound of earth in a field near Sallins. 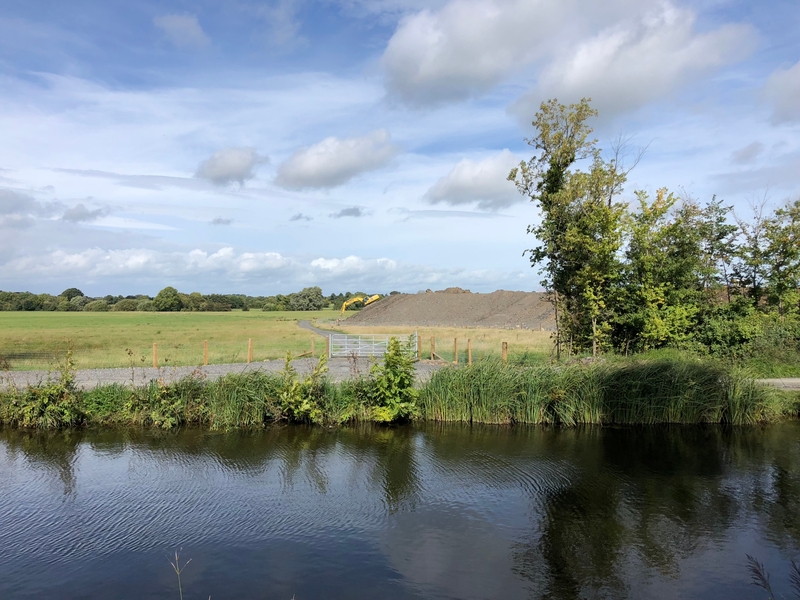 The picture, snapped from the nearby canal, close to the Leinster Aquaduct, shows the significant progress being made on the Sallins bypass which is expected to open by the latter half of 2019, according to Transport Infrastructure Ireland. The bypass is will start near Bodenstown on the Sallins to Clane road and, after passing over the Liffey twice, the Grand Canal, under the railway line and over the M7 motorway, will eventually connect to the ring road in Millenium Park near the Kerry Group. An underpass, under the rail is now complete, and it’s expected that bridges over the canal and Liffey will be next.